Natural human instinct is to explore, to define every experience and perception in his mind. Standing in the dark space rounded with colorful lighted illusional holes, the viewer is challenged to reconsider its own constructed world, desiring illusion to happen. 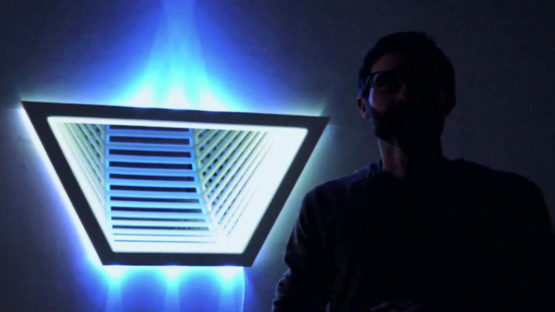 Jason Sims’ light boxes and installations are entirely hand-made. He is constructing in wood, mirror, reflective glass, MDF and LED lights, presenting an endless expanse of infinite possibility. His aim is to create the perfect environment for the viewer’s contemplation. Jason Sims – Suspend III, 2010. He includes the mirrors in space, so that visitors, looking at them, can see themselves in a conjunction with sculptures and become part of it. All of his works shares the similar ideas, but at the same time, they are totally different. 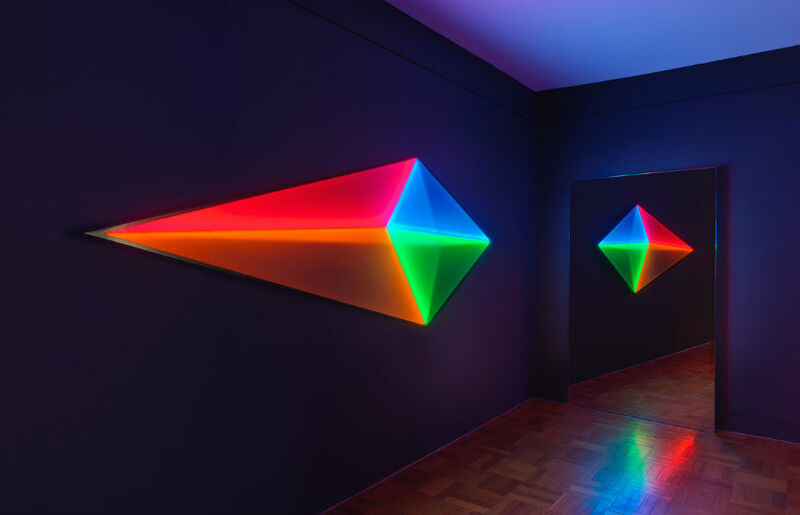 His multi-media artwork is using colorful lights and geometrical shapes to create optical illusions. Looked from the outside, Sims’ sculptures have strictly limited shapes, but their infinity is inside, extending beyond physical possibilities. Those objects seem weightless, floating on the walls, attracting views with theirs hidden lightning. The mirrors contribute to the entire impression of drawing force, making the possibility of different angles of observation. Jason Sims – From where I stand, 2015. Sims’ exhibition, titled From Where I Stand, was consisted of the works inspired by American minimalist Donald Judd, Australian modernist Frank Hinder, and French impressionist Camille Pissarro. Illusion continues to play the main role and the created space includes viewer as composite part of it. His physical experience is challenged with bright-colored lights which are opening new, different dimension. Since Sims graduated with a Bachelor of Visual Arts (Honours) from the University of South Australia in 2000, he has had several solo exhibitions and numerous group shows throughout Australia and abroad, including Hong Kong, the UK and the USA. His work is held in major public and private collections, including Artbank and the Art Gallery of Western Australia. He has been a finalist for the Tom Malone Prize for the past 3 years. His latest award is SALA Advertiser Contemporary Art Prize, for the most outstanding work in any medium. 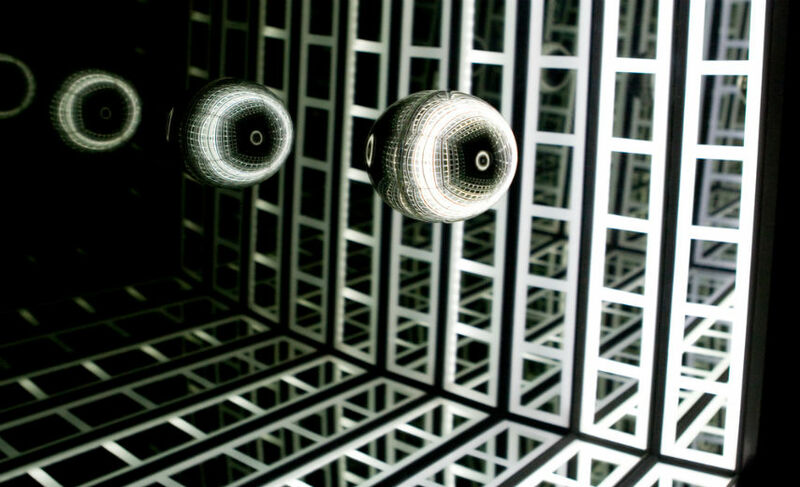 Jason Sims – Reflect II (detail), 2011. 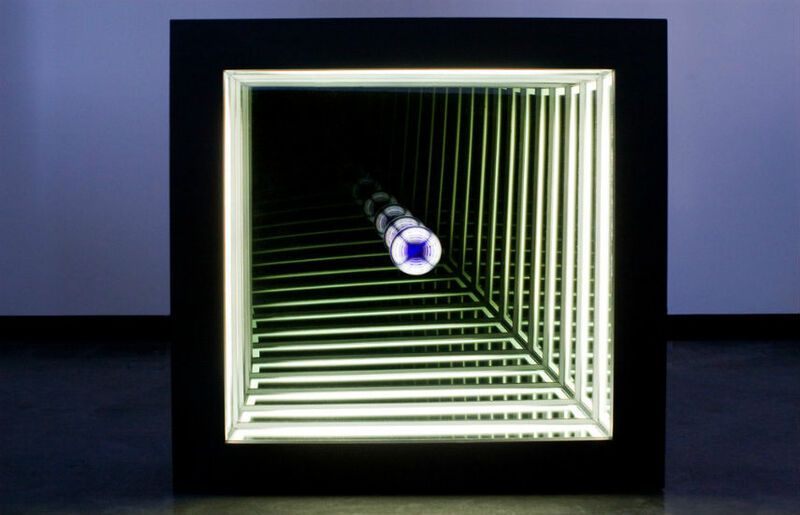 Creating the illusion of infinite hole through the construction of a series of light boxes that reflect space upon itself, Jason Sims’ work prompt’s the viewer to wrestle with what he sees and knows. This Australian artist is interested in the ways in which people create meaning in their lives and how perception and choice directly impact our reality, exploring its meaning in our existence. Jason Sims is represented by The Cat Street Gallery. Jason Sims lives and works in South Australia.